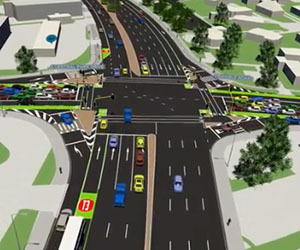 NZ Transport Agency has approved $46.4 million in advanced funding to Auckland Transport for the construction of the Lincoln Road Corridor Improvements Project. The project will include new bus lanes, improved cycling facilities and road safety improvements. The upgrade will also provide for a new bus/transit (T3) lane in each direction, segregated ‘Copenhagen style’ cycle lanes, a solid median, upgrades to intersections and utilities and new pedestrian signals. The Lincoln Road project will be delivered by Auckland Transport.